The God who made me Queer also taught me what it means to say Black Lives Matter. Making me Queer has been the Spirit’s way of breaking through to me, of teaching me, of giving me a burning in my bones about issues of oppression and enabled me to notice and care about racial oppression, police brutality, and the subtle white supremacy of our churches. Being Queer taught me that, although personal prejudice might break my heart, systemic injustice is what steals our lives, hopes, and dreams. Depending on the person, how close I am to them, finding out that someone thinks “homosexuality is a sin” or “doesn’t believe in gay preachers” might hurt. If they’re family, if they’re church family, the hurt may be very deep. If I don’t know them at all, it just might not hurt at all. But there’s a difference between a bishop denying my call because of my sexual orientation, and a member in the church I serve questioning it. And that difference is power, and structure. I know that if I worship in a denomination that affirms my call to ministry, one person’s personal prejudice won’t destroy me. And that if my call is denied, the Spirit screams within me in a way that all the sympathetic friends and family can’t silence. So when I hear that racism is more than personal prejudice, but systemic oppression, the Spirit has taught me, through my Queerness, to listen. Because I’m Queer, I’ve learned to value disobedience in the face of injustice. I value the ability to feel, absorb and care deeply about oppression beyond my own, to recognize that there are those who will follow and that knowledge calls for action now! I’ve felt the burning unrest of not being able to live the way one is created to live. I’ve learned how the deadening of systemic oppression can be survived with righteous anger. I’ve heard them say to me “follow our rules, and you won’t get hurt” and I know how deep a lie it is. I got to experience standing with one’s community in intentional disobedience (in our movement, the Extraordinary Candidacy Project) and how it can change the rules that are killing us. Through my Queerness, the Spirit taught me to love the Jesus that rioted in the temple, and riots now in the streets of Baltimore and other places where racial injustice demands it. Being Queer has taught me that how we talk about people in church matters. When people describe God’s holy people and use words that don’t mean me, examples that don’t include my life, and issues that are never mine, I know that the sacred dignity of my life is not being affirmed, and worse, that the lives of other people are lifted up as somehow more godly than mine. 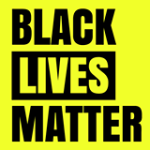 So when I hear white churches refuse to name police brutality, act as though Michael Brown, Tamir Rice, Freddie Gray, Rekia Boyd, Yvette Smith, Pearlie Smith and Tyisha Miller never died or were somehow not respectable enough to merit safety and trial – churches that worship for weeks without even naming Ferguson or Baltimore, I hear them subtly reinforcing white supremacy, teaching without words the heresy that white lives matter more to God. Being Queer has taught me that God speaks in voices other than mine, that I need to shut up and hear, and eat, the words of the prophets. Change couldn’t have happened in the Lutheran Church without straight pastors preaching about the created goodness of people of all sexual orientations and gender identities. But oh boy, sometimes they’re awkward and say it differently than I might! And when a straight pastor tries to tell me about my experience as a Queer person in the church, their loving blunders can cause me pain. Their experience isn’t mine, and I do not truly know the experience of being afraid that a police officer’s judgment about the color of my skin will endanger my life. I’m sure that my speaking of racial injustice is likewise a little awkward, a little wrong. What I know I’ve learned from people of color, who had the grace, the gift, to instruct and correct me. The Spirit is teaching me that allies need to speak to those who haven’t yet heard, but will hear the Spirit’s voice when we sit down to hear the voices of Black people in the streets, and in our churches. And the truth is, every piece of this essay that I say the Spirit taught me, She taught me in the voice of Black colleagues and friends. Because God created me Queer, I can’t stop hearing the voice of God in the protests, the rebellions, the sermons, the songs, and the curses of Black people around me. And because I’m a pastor, I will burn in my bones until I repeat the words of God to those who haven’t yet heard. 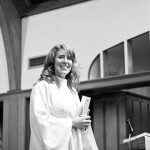 Pastor Lura Groen served Grace Lutheran Church in Houston, TX for more than six years. With the congregation, she founded Montrose Grace Place, a safe, welcoming environment for vulnerable, homeless youth of all sexual orientations and gender identities, which provides nourishment, healthy relationships, and hope for the future. She continues her ministry on social media and in the Montrose community, while trying her hand at blogging, and experimenting with new forms of spiritual community. Pastor Lura is a member of Proclaim. You can find her at luragroen.blogspot.com. This entry was posted on Thursday, May 21st, 2015 at 1:08 pm	and is filed under Blog. You can follow any responses to this entry through the RSS 2.0 feed. Both comments and pings are currently closed.